As a hematology fellow at the Scripps Clinic in the 1980s, my friend and colleague Sheldon Hendler, MD, PHD, recommended that I read an article in Science magazine. The manuscript entitled “Cancer and Diet,” by Bruce Ames, PhD, described the mutagens and carcinogens to which we are exposed on a daily basis that are found in a normal diet. His paper then examined the defenses that we have developed as a species. 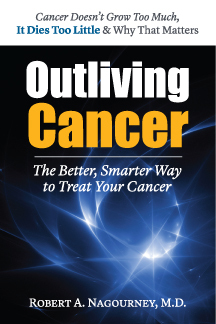 Dr. Ames has distinguished himself as a pioneer in the study of aging, degenerative disease and cancer and I have read many of his papers since then. You can imagine my delight when I received a phone call some months ago and found that my interlocutor was none other than Bruce Ames, inviting me to speak at his research institute. On Tuesday, January 31, I traveled to Oakland to present a symposium. Dr. Ames arranged for me to meet many of his colleagues. The topics ranged from neuraminic acid residues expressed as neoantigens on dividing cancer cells, to antifungal agents as anti-cancer drugs. One discussion of particular interest surrounded sphingomyelin metabolism as an important mediator of tumor cell progression. A subject about which I knew little prior to this discussion but will certainly now examine with interest. It is my hope that I might forge collaborations with some of these investigators. But, there is little that could have prepared me for the pleasure I experienced when sitting across the table from Dr. Ames, while sipping a freshly brewed espresso (deftly prepared by Dr. Ames himself), while we discussed Bruce’s six decades of extraordinary discoveries. Everywhere I looked was an award or a textbook that he had authored. Despite his many accomplishments he was humble, engaging and very witty. My symposium that afternoon introduced the attendees to human tumor primary culture studies as predictors of response to cancer therapy. I then moved through the accumulated data supporting the clinical outcomes and finally examined our developmental work, finishing with our published collaboration with investigators at NYU and Cornell on the study of a novel class of Wnt inhibitors. Lively discussion ensued. Among the attendees was Bengt Mannervik, who asked several good questions. I note his presence for he is one of the leading experts in the field of glutathione metabolism and a scientist who I had met several times before. As one of the fathers of glutathione s-transferase chemistry, Bengt’s work had influenced my earlier studies. It was an unexpected honor to have him in the audience, as a visiting professor on sabbatical from Uppsala. As I have noted before, the reception from the scientists in these fora improves as they examine the data on its own merit, unaffected by the clinical dogma and politicking that contaminates so much discourse in medical oncology today. There was no agenda, just scientific interest and open discussion. It was a refreshing departure and a welcome opportunity to interact with open-minded investigators. In the audience was Dr. Ames’ wife, Giovanna, a former professor of biochemistry at Berkeley, and a scientist whose work included the earliest discovery of the ABC transporters, now recognized as the basis for the human p-glycoprotein drug resistance mechanisms. At the end of the lecture, Giovanna Ames, impressed by the data, raised her hand and asked, “If what you need is a small portion of each patient’s tumor to conduct these studies, what do we have to do to be sure that every doctor sends you a piece of tumor?” While I’m not sure I that have the answer to her question, I am very sure that I like the way she thinks. Many readers may have come across a recent report linking the consumption of processed meats (sausage, bacon cold cuts, etc.) to the incidence of pancreatic cancer. Intriguingly, the higher risk seemed to only apply to men and not women. The explanation for this remains obscure, but may reflect other dietary habits more common to men or other factors, such as increased alcohol consumption or smoking. But this is only a speculation. The presumptive mechanism of cancer causation seems to revolve around the presence of nitrates in these cured meats. Nitrates are added to meats as preservatives. Preservatives function to inhibit bacterial growth responsible for food spoilage. Nitrates under the acid conditions in the stomach, are converted to nitrites. And it is these nitrites, primarily in the form of nitrosamines, which may be the culprits. When we exam these findings several issues must be considered. First, however nefarious the consuming public may think the meat packing industry, I for one am fully convinced that these companies do not add nitrates to cause cancer. Quite the contrary. The most dangerous organisms found in foodstuffs, through spoilage and lethal food toxins, are the anaerobic organisms. The most frightening of all is clostridium botulinum, which produces the fatal condition known as botulism. Nitrates converted to nitrites are potent inhibitors of clostridia. In the grand scheme of things, it is highly likely, in fact certain, that many, many more people have been saved from nitrites in food than would ever die from pancreatic cancer. These risk-benefit ratios are the subjects that keep epidemiologists up at night. Nitrates in food are not the only possible man-made exposures that we encounter on a daily basis. Take for example chlorinated water. The “chlorine” in water is, for all intents and purposes, bleach. That’s right every time you drink tap water you are being exposed to tiny quantities of bleach. It is probably unnecessary for me to explain to the average reader, the risks and hazards of common household bleach, which is a solution of hypochlorite. And, however toxic that bottle under your sink may seem, remember that is only a 5 percent solution. Another example is fluoride. While the benefits of fluoridation of water are numerous, including bone density and improved hardness of the enamel of teeth, demonstrably reducing tooth decay, fluorine itself is not, at least theoretically, free of risk. We know that sodium fluoride is an inhibitor of phosphodiesterase, an enzyme responsible for regulating cyclic AMP and cyclic GMP levels in the cell. These protein kinase A signals events may be tonically affected by changing levels of fluoride in the cell, to what end it is hard to say. Like chlorination or fluoridation of water, nitrates in food represent risks that we as a society have accepted, based upon what we deem as acceptable benefit-risk ratios. It is possible, that the increased incidence of food-borne illness and enteric infections, increased dental caries associated with the elimination of all these risks, may far exceed the hazards associated with these exposures. The human species evolved over millennia in an environment exploding with free radical activity, fortunately we have developed defenses, superoxide dismutase, glutathione, peroxidase, catalase, etc., that counteract the toxic effects of these chemical compounds. Whether the man-made exposure substantively changed the balance will be a topic of discussion for years to come. A report issued earlier this year (available on Medscape once you register) on Vitamin D levels in breast cancer, identified low levels of this nutritional factor as a risk for breast cancer. Dr. Kristin Skinner reported at the American Association of Breast Surgeons, that the most aggressive forms of breast cancer (i.e. ER negative, triple negative or basal-like) were associated with lower blood levels of vitamin D.
This is one of many reports associating vitamin D levels with disease. Indeed, so many reports on this topic have been published that vitamin D consumption in the U.S. has exploded. While some physicians have made careers promoting the concept, the science of vitamin D is indeed credible and very interesting. What is vitamin D? Well, although we refer to it as a vitamin, it is, in fact, a hormone. It is obtained from the diet or from exposure to sun. The most potent form of vitamin D is that associated with sunlight exposure. Once in the body, vitamin D interacts with cells at very specific receptors. The term receptor reflects the role of these “landing sites” contained within the cell’s nucleus. As the vitamin D molecule traverses the cell membrane and enters the cell nucleus, it binds with the vitamin D receptor, which connects to the chromosome at a hormone response element and drives the cell machinery forward. The vitamin D receptor is part of a large collection of genes called the steroid super gene family. These include receptors for estrogen, progesterone, testosterone, and, yes, vitamin D.
What makes the field so interesting is the interaction between these factors. Inside the nucleus are a large variety of receptors. Vitamin D and the other molecules are known as ligands. When the ligands enter the nucleus, they must compete for receptors. This leads to a complicated collection of down-stream events that are unique to the individual. If, for example, your nucleus has a number of orphan receptors (receptors with unclear ligand associations) and these orphan receptors have some binding affinity for the vitamin D, then the down-stream signaling will reflect this new biology. Many studies have associated vitamin D levels with disease. Prostate cancer, colon cancer, even blood-born tumors may, in part, arise in vitamin D deficient states. But, the most compelling evidence in several analyses supports its protective effect against colon cancer. In one study there was a 15 percent risk reduction for every 10 ug/ml increase in circulating blood levels of calciferol (Gandini S, Int J Cancer. March 11, 2011). What is interesting about the report from the University of Rochester is that it was the most aggressive forms of breast cancer that were found to be associated with Vitamin D deficiency. To date, the correlations with the more common forms of breast cancer have been less positive. Cardiovascular disease and musculoskeletal diseases are also associated with vitamin D levels. So critical is vitamin D to the well-being of the human that mankind could not easily migrate far north from the equator until he found a source of vitamin D unrelated to the skin synthesis. This source proved to be fish and animals that survived by eating fish. Older readers will remember cod liver oil as a remedy doled out by grandparents. It is ironic that cod liver oil is an excellent source of vitamin D.
While deficiencies of vitamin D are likely to be deleterious, substantially exceeding the normal levels of 30 micrograms/ml have not been shown to further enhance health. It is prudent for patients to monitor their vitamin D levels and highly appropriate for physicians to recommend replacement. Interestingly, a scientific colleague recently commented that sun exposure, by providing active vitamin D, is greatly under appreciated as a healthful activity. He wondered whether the broad use of sunscreens would ultimately save or cost more lives when the aggregate impact of vitamin D levels upon cancer and health is finally understood. Colorectal cancer is among the leading causes of cancer death in the United States. While most patients develop this disease over a period of decades, associated with an accumulation of genetic mutations (elegantly described by Burt Vogelstein, PhD at Johns Hopkins), a small percentage of patients have a genetic predisposition for this cancer. Among these are those people that carry the familial adenomatous polyp syndrome (FAPS) and those who carry mismatch repair mutations know as Lynch syndrome. It is the latter group who are the subject of a report in the October issue of the English journal Lancet. In this study, known as the CAPP2 trial, patients with Lynch syndrome received either placebo or 600mg of aspirin per day (the equivalent of two tablets). The results reveal a statistically significant reduction of colon cancer that clearly favored the aspirin group. To put this in perspective, this dramatic improvement in the highest risk population didn’t come about as the result of a new signal transduction inhibitor or a monoclonal antibody. Instead, it came from the simple administration of one of mankind’s earliest medicinal substances. I applaud these English investigators in conducting this study of 861 patients. What is most laudatory is that the intervention, while highly effective, is so inexpensive. In an era of proprietary medications and the promotion of expensive new interventions, it is indeed refreshing to read the results of a well-conducted study using an intervention available to all. Data generated more than two decades ago established the benefit of non-steroidal anti-inflammatory drugs like aspirin for the prevention of colorectal cancer. It is gratifying that this simple intervention has additional scientific support both for those with high-risk predisposition, as well as other patients at risk for this relatively common, yet potentially lethal, malignancy. Many may remember that the University of Pittsburgh released a memo requesting that employees guard themselves against excessive cell phone usage. Much of that work reflected the efforts of Devra Lee Davis, PhD, who has worked tirelessly to promote this area of investigation. Indeed, Dr. Davis, who was at the University of Pittsburgh, spearheaded that effort as well. The science of cancer causation associated with cell phones and related electromagnetic fields is still maturing. One fascinating presentation by investigators at Harvard and New Mexico suggested piezoelectric rectification as the mechanism. When collagen and other biological tissues respond to these resonant frequencies, heat is released. Yet, the piezoelectric effect is a non-thermal energy effect that might better explain the carcinogenesis. Examinations of cell phone electromagnetic fields suggest the penetration of the signal several centimeters into the brain. While this is a real concern in adults, it becomes a frightening concern in young children, one of the largest growth segments in cell phone sales. It may not be surprising to realize that sources of electromagnetic radiation can have serious consequences on our health. Life as we know it is dependent upon chemical energy. Influencing the charge and polarity of cells may adversely affect normal metabolism and signal transduction. The take-home message is that cell phones do pose a risk, that the risk can be minimized by limiting exposure and that those strategies that put distance between the cell phone and the user’s ear are the safest. Speakerphones make more and more sense and the use of small earpieces would also be supported, for the field they generate is demonstrably smaller. Finally, it would seem advisable to limit children’s use of cell phones to a minimum.